Ross Goren concentrates his practice on defending employers and insurance companies in workers’ compensation matters. Ross counsels various businesses and insurance companies on managing workers’ compensation risk, as well as representing them in the course of workers’ compensation litigation. Ross strives to minimize his client's claims and overall exposure and specifically tailors processes and strategies to control all workers' compensation matters. 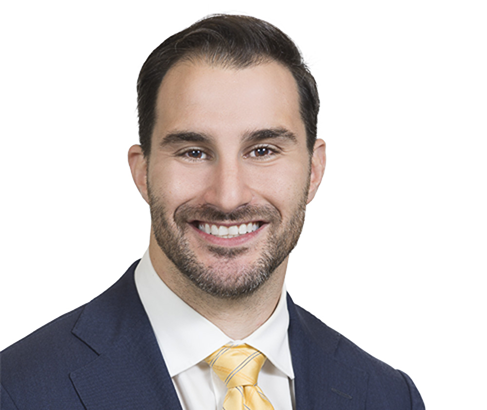 Ross comes to Weber Gallagher from a respected firm in Media, PA, where he was an associate representing employers and insurance carriers in workers' compensation matters and in employment and risk management issues. While in law school, Ross was on the Villanova Moot Court Board and served as a certified legal intern in the Villanova Health Law Clinic and also worked at a Philadelphia firm as a summer associate and law clerk specializing in medical malpractice.